I would assume these are Gibson pickups in my 1992 OBG or no? I am an Orville peon compared to other brands :laugh2:. Cheers for the help! 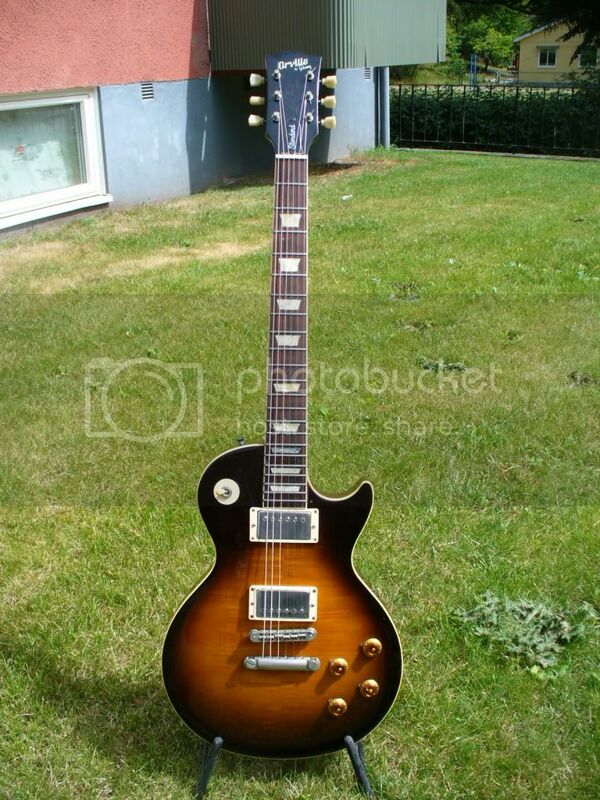 A few pics as I think someone might ask lol...it is more of an Antique Vintage Burst but looks more tobacco indoors. The evening sun sure makes it pop however. I would assume these are Gibson pickups in my 1992 OBG or no? Now which ones are the real mystery? Yeah? It would be sweet if they are! Mina has Classic 57 PUPs. Looks like a 498T to me. Have you measured the resisitance? Scroll down a bit, to post number #12 and onwards.